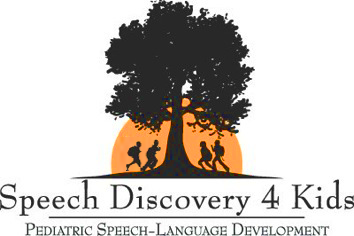 The services offered by Speech Discovery for Kids, Inc. in Huntersville, North Carolina, is made possible my our skilled, talented, and dedicated staff. Over the years, we've assembled a gifted, compassionate staff. Below, you can learn about each person who will treat your child. 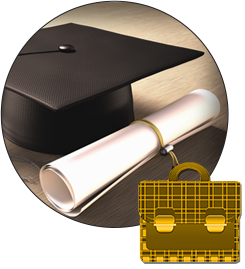 Owner Jennifer Plummer graduated with her Master's of Science Degree from James Madison University. Jennifer has worked with both the geriatric and pediatric populations but has always had a love for working with children. She started Speech Discovery for Kids, Inc. as part of Lake Norman Children's Therapy in 2004. With special training in VitalStim, which is a form of neuromuscular stimulation to treat children who have weak swallowing skills, Jennifer is also a PROMPT-trained therapist and has specialized training in the Beckman protocol for oral motor techniques. She is comfortable treating children from birth through teens with a variety of delays and disorders that include articulation, early language learners, auditory processing, apraxia, autism, Asperger's syndrome, and swallowing-feeding delays. Graduating from Western Carolina University with a Master's of Science degree in Communication Disorders with a concentration in pediatrics, Sheri has worked with the pediatric population ranging from preschool age children to teenagers for most of her career. She's able to work with children who struggle with a variety of delays such as articulation, language, and auditory processing, and has received special training with alternative and augmentative communication devices. Graduating from William Patterson College with a Master's of Science in Communication Disorders, Julie has worked in pediatrics her entire career. She has concentrated on the birth through five-years-old population. She enjoys working with children with oral motor and feeding concerns and early language learners, and has a particular love for sign language. Graduating from Indiana University with a Master's degree in Speech and Hearing Sciences, Dawn has experience with the adult and pediatric population in rehabilitation, school and private practice settings, but has focused on pediatrics for most of her career. Dawn is comfortable with all ages of children who struggle with a variety of delays, such as articulation and early language learners. Receiving her graduate degree from Appalachian State University with a Master's of Arts in Communication Disorders, Shelley has worked with pediatrics in a variety of settings. She specializes in the diagnosis and treatment of speech-language and swallowing-feeding disorders and oro-pharyngeal dysphagia. Shelley is certified in VitalStim Therapy and is trained in Beckman Oral Motor Techniques. Heather graduated from Miami University of Ohio with a Masters of Science in Speech and Language Pathology. Heather has experience working with pediatric and adult populations in the outpatient and inpatient hospital settings. Heather has a heart for children and enjoys helping little ones grow in their communications abilities. She is comfortable treating a variety of diagnoses such as articulation and phonological disorders, Downs Syndrome, Autism and more. Graduating from Appalachian State University with a Master's of Arts degree in Communication Sciences and Disorders with a concentration in neurological disorders, Kerri has worked with pediatrics, adults, and geriatrics. Kerri loves her work with children and all types of needs, in particular, children with Auditory Processing, Fluency and Phonological disorders. She is trained in VitalStim therapy for the treatment of swallowing disorders and is also a PROMPT-trained therapist. Graduating from Northern Illinois University with a Master of Arts Degree in Speech-Language Pathology, with a concentration in pediatrics, Deb has over 25 years of experience with pediatrics. She is comfortable working with children from infants to teens. Deb enjoys working with children who have phonological process disorders and auditory processing impairments. Speech Discovery for Kids, Inc.